If you’re following a low carb eating plan like Atkins, you may be toying with the idea of going Keto, a diet that approaches eating with an “Eat Fat, Not Carbs” motto. While this isn’t optimal for bodybuilding, it is becoming more and more well-known. Since the Keto diet has been growing in popularity, I wanted to find some delicious, healthy recipes to get you going. How Many Carbs Can I Eat On Keto? The Ketogenic diet has also been referred to as the low carb high fat diet (LCHF). So as you can imagine, you’ll be eating the majority of your calories from the healthy fats group instead of the carb family. How does this equate to your daily caloric intake? But the macronutrient breakdown of the Keto diet is going to shock some of you. So what happens when you switch your predominant macronutrient from carbs to fat? You see, when we eat carbs, the body processes them into glucose, which is used as the predominant fuel source. However, when you lower your carb intake and starve your body of sugar, you force the body into a state known as ketosis. During ketosis, the body starts producing ketones in the liver by breaking down the body’s fats to use as fuel. See where the diet’s name came from? Instead of burning glucose, Keto dieters always want to be in this state of ketosis to constantly burn fat as their main source of energy. The fewer carbs you eat, the faster you send your body towards the ketogenic state. But we can’t just cut out carbs completely because our bodies need carbs in order to function properly. Keto dieters are recommended to eat 20-30 g of net carbs per day, but ketosis can be reached when you bring your carbohydrate levels to around 50 grams per day or lower. People looking to shed weight quickly often cut their net carbs to fewer than 15 g to work quickly towards ketosis within 1 week. So how do you figure out a net carb? A net carb is the amount of total carbs in your food minus the food’s total fiber. Let’s use 1 cup of kale as an example here. 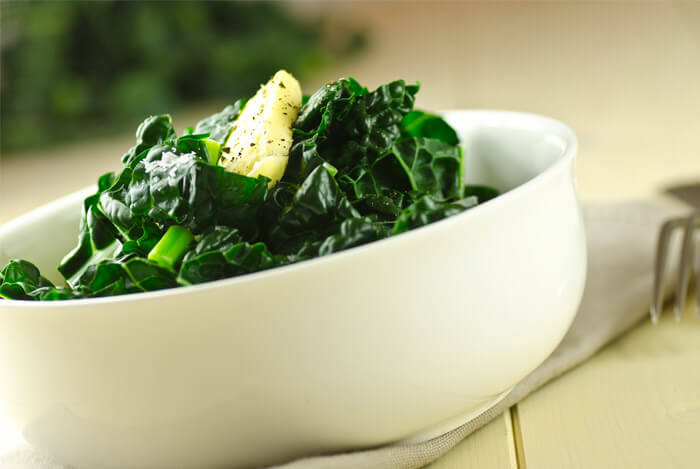 There are 6.7 g of total carbs and 1.3 g of fiber in 1 cup of kale. So subtract 1.3 (fiber) from 6.7 (carbs) and you end up with 5.4 g of net carbs. When you start dieting on Keto, you’re going to be very surprised to learn how hard it is to stay under the acceptable carb guidelines. To take some of the guesswork out of finding healthy low carb, high fat recipes, I rounded up my favorite 13 awesome Keto recipes to share with you. 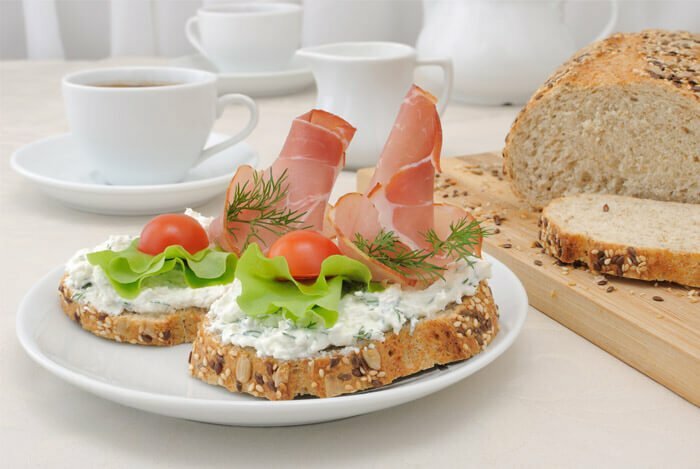 Arguably the most important meal of the day, you never want to skip breakfast and with these tasty recipes, you’ll actually look forward to waking up early. I am a sucker for a great eggs benedict, but most of them include poached eggs over some sort of carb heavy biscuit or muffin. Well, this recipe from The Nourished Caveman replaces that carb with organic baby kale for a superfood punch in the early AM. Melt 1 tablespoon of butter in a small skillet. Smash 1 peeled garlic clove and add it to the skillet. Let it cook for about a minute. Add 2 ounces of raw baby kale, washed and trimmed from stems, to the skillet. Cover with a lid and cook for about 5 minutes, stirring occasionally. Remove from the skillet and keep warm. While that’s cooking, separate one egg into two bowls. Add one whole egg to the egg white bowl. Add another tablespoon of butter to the skillet and fry the egg and egg white mixture until desired doneness. To start the sauce, melt 2 tablespoons of butter with 1 tablespoon of coconut cream. In a small food processor, add the egg yolk, a pinch of salt, and a good grating of fresh black pepper. Process egg yolk and slowly add the butter/coconut cream mix to incorporate until a smooth cream is formed. To serve, cover the plate with your cooked kale, add the fried egg on top, and then add as much hollandaise sauce as you desire. One of the best make-ahead grab-and-go breakfast options is chia seed pudding. 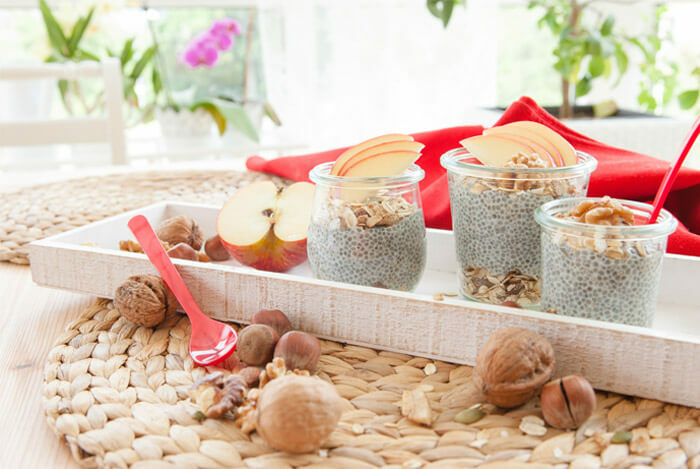 Chia seeds are packed with protein, heart healthy omega-3s, and tons of fiber to fill you up until lunch. Plus, it’s incredibly customizable. Combine ¼ cup of chia seeds with 1 cup of coconut milk and ½ tablespoon of your favorite sweetener. Leave the mixture in the refrigerator overnight and wake up to delightful chia pudding. Depending on your milk choices and sweeteners (I love honey, but maple syrup works well too! ), this breakfast has endless possibilities. Want to top it with almonds or coconut flakes? Go for it! The chia pudding is your oyster (that’s how the saying goes, right?). Another super easy low carb breakfast I make all the time is veggie, egg, and cheese ‘muffins’. No, they’re not muffins, but they are baked in a muffin pan. Intrigued? Bake at 425 degrees F for 20 minutes, or until these mini omelettes are cooked through. Sometimes I say that lunch is one of the most delicious meals of the day, and these recipes won’t let you down. Taking soup to work is one of the best ways to take a break from stress. Just tucking into a nice warm bowl seems to make me forget about due dates and emails. So I love coming across healthy recipes like this vegetarian soup. Peel and finely dice 1 medium white onion and 2 cloves of garlic and place in a soup pot or Dutch oven greased with ¼ cup ghee or coconut oil. Cook over medium-high heat until slightly browned. Wash 5.3 oz of watercress and 7.1 oz of fresh spinach (or 7.8 oz frozen) and set aside. Cut 1 medium head of cauliflower into small florets and place in the pot with browned onion. Add 1 crumbled bay leaf. Cook for about 5 minutes and mix frequently. Add the spinach and watercress and cook until wilted for about 2-3 minutes. Pour in 1 liter of veggie stock and bring to a boil. 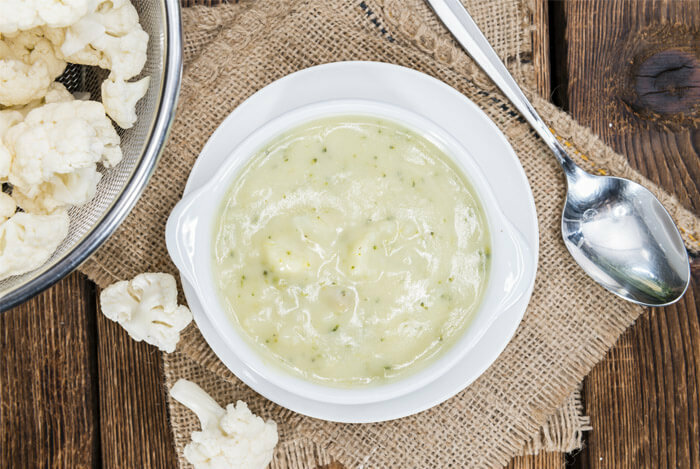 Cook until the cauliflower is crisp-tender. Pour in 1 cup cream or coconut milk. Serve immediately or chill and keep refrigerated for up to 5 days. Chicken salad is a great way of using up leftover chicken, or repurposing a store bought dinner rotisserie chicken for lunch the next day. Plus, you can toss this chicken salad over spinach for additional fiber and vitamins. You can make this chicken salad by hand or use a food processor to make everything incorporate evenly. 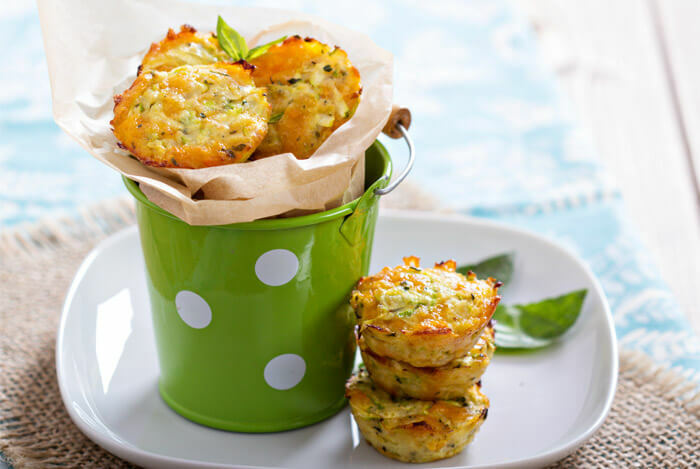 Place 1 minced celery, 1 minced green onion, and 2 tablespoons Italian parsley in the bowl of a food processor. Pulse until veggies are extremely fine. Transfer to a mixing bowl. Add 5 ounces roasted chicken breast meat to processor. Pulse until very fine. Transfer to mixing bowl. Grate 1 peeled hard-boiled egg or split and pulse in food processor until it becomes fine pieces. Transfer to mixing bowl. Add ½ tablespoon dill relish, ⅛ teaspoon granulated garlic, ⅓ cup mayonnaise, and 1 teaspoon Dijon mustard. Mix well using a large spoon or spatula. Season to taste with kosher or coarse grain sea salt and freshly ground black pepper. Mix again to thoroughly incorporate. It can be hard to find Keto snacks that don’t have too many carbs. But these next recipes are high fat options sure to lure you away from your computer screen for a mid-afternoon snack break. If you’re a salty snacker or potato chip lover, this recipe for Easy Peasy Cheese Crackers from Healthy Living How To is perfect for you. 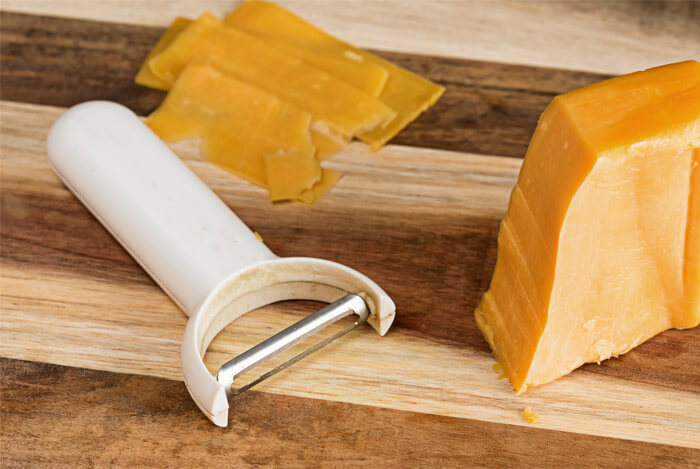 Grab a few slices of hard cheese and place them on the baking sheet, leaving about ½ inch between slices. Bake cheese for 10-12 minutes until brown. Use a paper towel to absorb excess oil. Transfer parchment paper and cheese to a wire rack to cool. The crackers will crisp up once they’re completely cool. When I came across this recipe at Oh Sweet Basil, I had one thought…get these into my tummy right now. Crispy bacon surrounding creamy avocado? Salty and spicy healthy fats? YES PLEASE. Preheat the oven to 425 degrees F and line a baking sheet with foil. In a small bowl, mix together ¼ cup brown sugar and ½ -1 teaspoon of chili powder, depending on how spicy you like things. Cut open 1 avocado and remove the pit. Slice about 3/4″ slices lengthwise through the avocado and then cut through the middle to cut all of the slices in half so that you have thick chunks of avocado. You’ll need 4-6 slices of bacon. Cut each slice in 3-5 pieces and wrap each piece around the avocado. 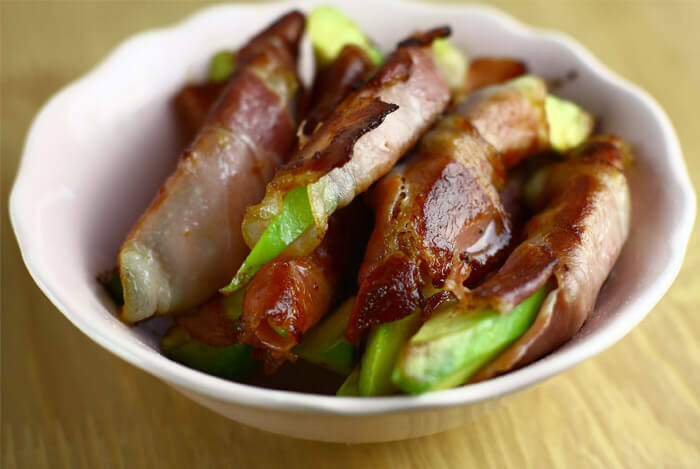 Roll the bacon wrapped avocado in the brown sugar / chili mixture and place on the baking sheet. Bake for 10-15 minutes. Remove from the oven to a platter and stick a toothpick in each for serving. These savory balls of goat cheese go so well with cut up carrots, celery, and (dare I say) cheese crackers. Cut a 4 oz. log of goat cheese into 7 pieces and form into balls. Throw ¼ cup of deshelled pistachios and ¼ cup almonds into a plastic bag, seal, and use a heavy pan or tenderizer to crush into small pieces. Add salt, pepper, and any preferable spices to the nuts to taste. Spread nut mixture on a plate, roll each goat cheese ball into the mixture to coat, and place in the refrigerator to set. Dinners should be easy after the long, hard day you put in at work. But that doesn’t mean they have to be unhealthy. Luckily these three low carb Keto dinners are just what you need. 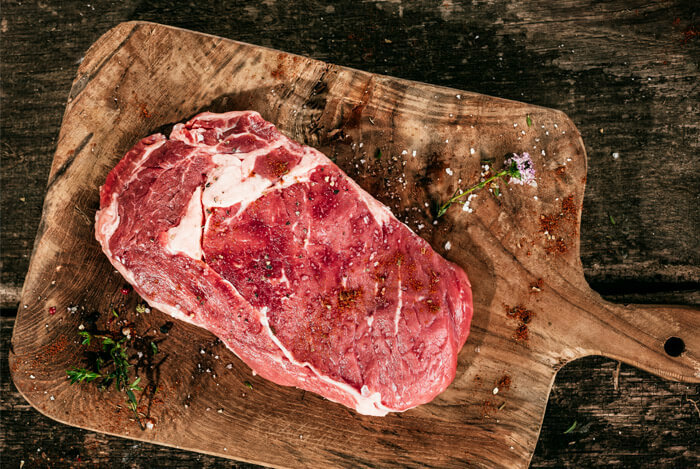 We can thank Caveman Keto for this mouthwatering steak and mushroom recipe. If you live with meat-and-potatoes people, this will certainly make them smile. Salt and pepper both sides of the 2 pounds of ribeye steak. Heat a cast iron skillet on high. Melt 1 tablespoon of butter until bubbly. Cook the steak for 2 minutes per side then transfer to the oven for finishing. Cook in the oven until internal temperature reaches desired level (135 for medium rare). Once steaks are done, set aside and cover with foil to rest. Add 4 oz. of port wine to the pan to deglaze and scrape the good bits of burnt stuff off the bottom. Add 10 oz. mushrooms and 2 oz. of heavy cream. Watch out, you’re going to set this mixture on fire to cook off the alcohol. Once the sauce has thickened, pour over the steak and serve. I feel like Wicked Stuffed was thinking about me when they created this recipe for a creamy and spicy take on typically bland spaghetti squash. Poke holes in one small spaghetti squash and microwave for about 15 minutes. 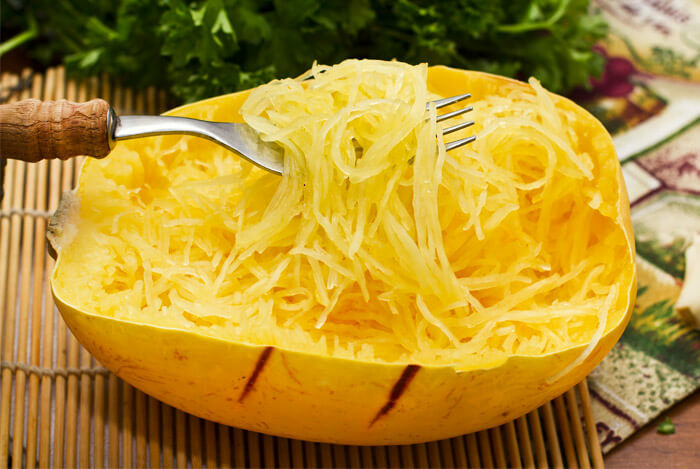 When spaghetti squash is done, cut in half the long way. Remove the seeds and discard. Scoop out the squash noodles using a large metal spoon. Set aside. 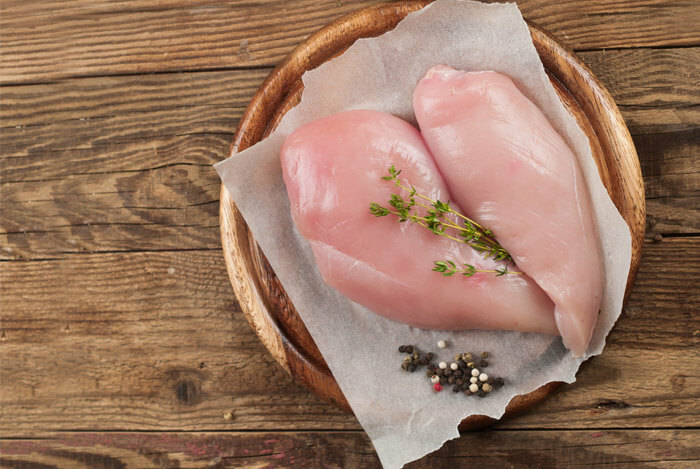 Pound 4 small chicken breasts until they’re about 1 inch tall and flat. Add 2 tablespoons Cajun seasoning to chicken and coat. In a large pan, heat up some oil over medium heat. Add chicken to the pan and cover. Flip after about 5-10 minutes. Meanwhile, heat up 2 cups heavy cream, 3 tablespoons butter, 1 teaspoon garlic salt, 1 teaspoon Cajun seasoning, and 1/2 teaspoon cayenne pepper in a separate medium-sized pan over medium heat. When it begins to boil, add spaghetti squash and reduce to a simmer over medium-low. Sauce should reduce in half over the course of 20 minutes while your chicken cooks (it will also thicken more as it cools). Once chicken reaches 180 degrees, remove from pan and let rest for 5 minutes. Turn heat off your squash noodles. Sauce should stick to squash, but there may be some remaining liquid. Let cool while chicken rests (sauce will thicken even more with cooling). Cut chicken into slices diagonally. Remove noodles from the stove, plate, and add a dollop on top of each Cajun chicken breast. Sprinkle with more Cajun seasoning if you like. Salmon is the perfect staple in a Keto dieter’s menu. While some people associate it with having too much fat, Keto lovers rejoice at the high levels of omegas and the amazing protein content. In a medium glass bowl, prepare marinade by mixing 2 cloves of minced garlic, 6 tablespoons oil, 1 teaspoon dried basil, 1 teaspoon salt, 1 teaspoon ground black pepper, 1 tablespoon lemon juice, and 1 tablespoon fresh chopped parsley. 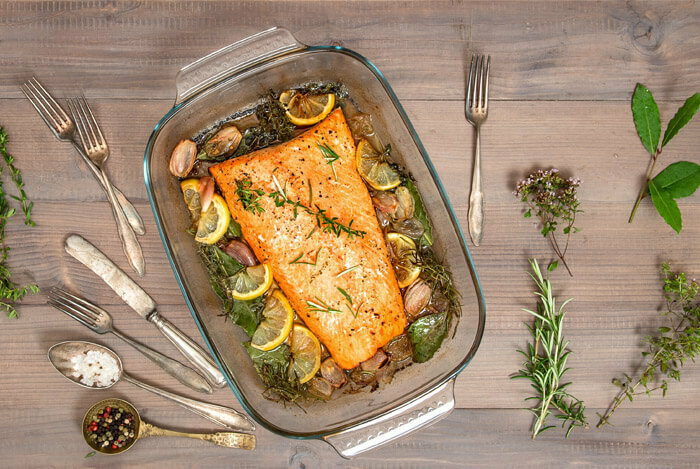 Place 2 (6 ounce) salmon fillets in a medium glass baking dish and cover with the marinade. Marinate in the refrigerator about 1 hour, turning occasionally. Preheat oven to 375˚F. Place fillets in aluminum foil, cover with marinade, and seal. Place sealed salmon in the glass dish and bake 35 to 45 minutes, or until it easily flakes using a fork. 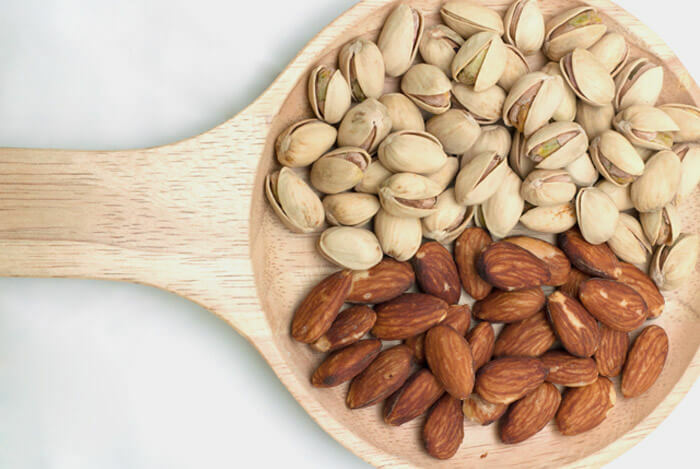 Since Keto dieters have to try hard to make healthy fats their predominant source of energy, it’s sometimes easier to consume lots of healthy fat in one serving. One giant bomb of fat. Mint and chocolate go so darn well together, don’t they? While most combinations of this are typically filled with sugar, these fat bombs from Carbe Diem will give Ketoers healthy fat and just a bit of sweet. Combine 3/4 cup melted coconut butter, 1/3 cup shredded coconut, 1 tablespoon of coconut oil, and 1/2 teaspoon peppermint extract. Mix well and pour into molds or mini cupcake liners/muffin tins, filling half way. Place in refrigerator to harden (about 15 minutes). 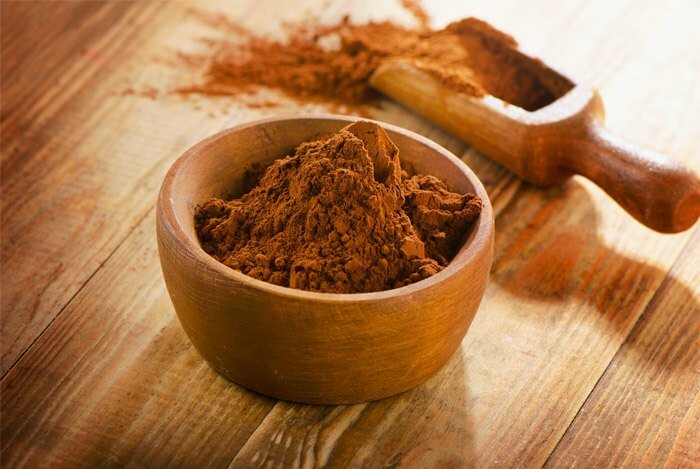 Mix together 2 tablespoons of melted coconut oil and 2 tablespoons cacao powder. Remove the peppermint mixture from the refrigerator and pour the cacao mixture into each mold/liner above the peppermint. Place back in the refrigerator until the fat bombs harden. Before serving, remove the bombs from the refrigerator and place on the counter for about 5 minutes. 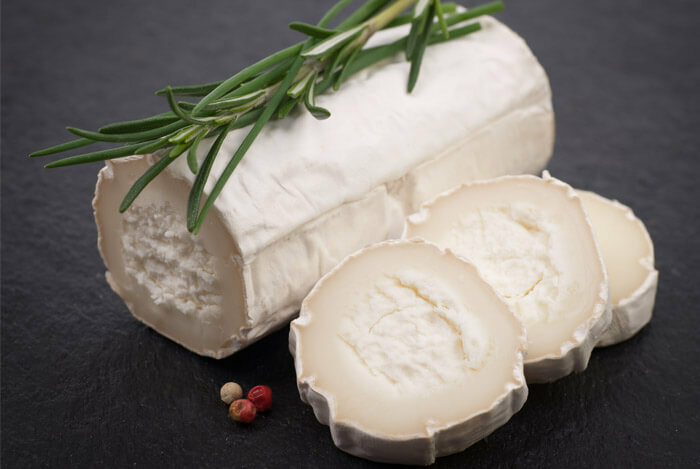 If you loved the goat cheese ball using these two heart healthy nuts, you’re going to love this sweet recipe from The Healthy Foodie. Melt 1/2 cup cacao butter in a small saucepan set over low heat or in the microwave, stirring often regardless of which option you chose. Reserve. Mix 1 cup almond butter, 1 cup creamy coconut butter, 1 cup firm coconut oil, 1/2 cup chilled, full fat coconut milk, 1/4 cup ghee, 1 tablespoon pure vanilla extract, 2 teaspoon chai spice, 1/4 teaspoon pure almond extract, and 1/4 teaspoon salt with a hand mixer in a large mixing bowl until the mixture is well combined and light and airy. Pour the melted cacao butter right into the mixture and resume mixing on low speed until it’s well incorporated. Transfer to prepared pan, spread as evenly as possible, and sprinkle with 1/4 cup chopped raw shelled pistachios. Refrigerate until completely set, at least 4 hours, but preferably overnight. While going Keto isn’t for everyone, many people have found short term success using it to lose weight. What’s your take on keto recipes? Have anything else you’d like to share? Let me know in the comments below!